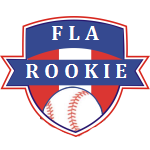 Difference between revisions of "Florida Rookie League"
The Florida Rookie League (FRL) is a professional baseball league that operates in the state of Florida, in the United States. As the name suggests, it plays at the rookie level within the Bull Baseball Leagues and each of the teams are affiliated with a Bull League parent club. The league name accurately describes the constitution of the league, which includes only teams based in various cities in Florida. As a rookie-level league, it is the usual entry point for international scouting discoveries and free agents who are not already established players. The league began as a winter rookie league in 2017 but was reorganized into a regular spring/summer scheduled league commencing with the 2018 season. The league champion is determined at the end of every season. The FRL began as a winter league in 2017, playing a 62-game schedule from mid-January until the end of March. The inaugural regular season, 2017, started on January 16, ended on March 22. The 20 teams were divided into two divisions of ten teams each. During the summer of 2017, the league reorganized into a summer league intended for international prospects and younger draftees to gain baseball experience before moving up to Short Season A or A level. The FRL was created from the remnants of the former winter league version of the FRL, which ran from January to March in 2017. The current structure has the league's 20 teams divided into an Atlantic Coast League (ACL) and a Gulf Coast League (GCL). Each league is further divided into two divisions of five teams each. The divisions are named for Hall of Fame Bull League players. The ACL has the Carl Simms and Chuck Provost divisions, while the GCL has the Chris Felix and Iron Arm divisions. The divisions are not grouped geographically, but the two league split the state roughly down the middle, with ACL teams based in cities up and down the Atlantic coast, but including Orlando, while the GCL includes the Gulf Coast cities. The teams play an 84-game schedule which begins in mid-April, and ending in mid-July, and each team will play each other team either 8 or 12 times. The schedule is a "split season" format, meaning the standings at the half (after 42 games) determine the playoff contenders for the first round of the playoffs, with the standings for the second half determining the playoff contenders for the second round of the playoffs. At the end of the season, a three-round playoff is held to determine the FRL World Series championship team. The league plays a split season format, so the division winners of the first half, if different from the division winners from the second half, must go through a best-of-three playoff to determine who will advance from each season half. The first half champions and the second half champions play for the WS title. There is no all-star game in the rookie league. As the league is intended for international amateur prospects to begin their baseball journey, the maximum age for players on FRL rosters is only 21. Players drafted from high school may be assigned to rookie-level, but college draftees will generally be too old. ↑ Florida Rookie League Opens Today, New GMs Announced. Bull Baseball League website. http://bullleague.org/league-news/florida-rookie-league-opens-today-new-gms-announced/. 16 January 2017. Accessed: 15 February 2017.